Home » Blog » What’s happening in Chelmsford? Spring is here at last and summer is just around the corner. It’s certainly the right time to be thinking about how we can get the children out in the fresh air, and also how we can get some exercise ourselves. Our events section highlights lots of events for children across the county, or you can search by area, as shown below. If you want to find out what’s happening in Chelmsford, as well as our events pages, do also check out the free sessions available for children and adults provided by Chelmsford City Council. Chelmsford City Council also has some great opportunities in Chelmsford to help and encourage people of all ages to be more active. 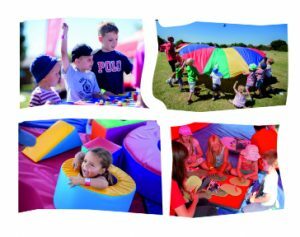 Chelmsford City Council holds free Play in the Park sessions during the Easter and summer school holidays for children aged between 3 and 11, including those with accessible needs. Children can join our Playworkers to play, create and take part in fun activities at a nearby park. Some sessions also feature special extras such as parkour, reptile handling and scooter lessons. Each two-hour session consists of sports, games and crafts. Childrem must register on the day before taking part and a parent or carer may be required to stay during the session. To find out more, visit the Chelmsford City Sports website page which includes a downloadable app. 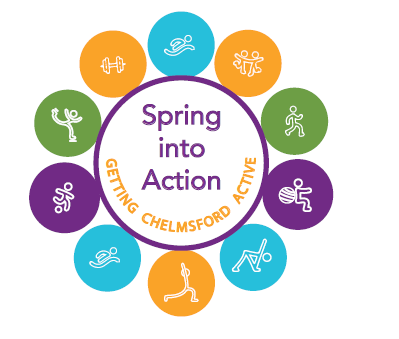 Chelmsford Spring into Action takes place between March and June 2019, with loads of free activities for you to try. Sports clubs, charities and community organisations are holding a range of open days, come and try sessions and challenges. The sessions aim to encourage everyone in Chelmsford to be more active. Sessions are available across the Chelmsford area, from the city centre to South Woodham Ferrers and our local villages. So, you’ll be sure to find an activity close to you. To find out more visit the Chelmsford City Sports website page which also includes a downloadable app. Wherever you live in Chelmsford, there’s absolutely no excuse not to get fitter and healthier this spring and summer.